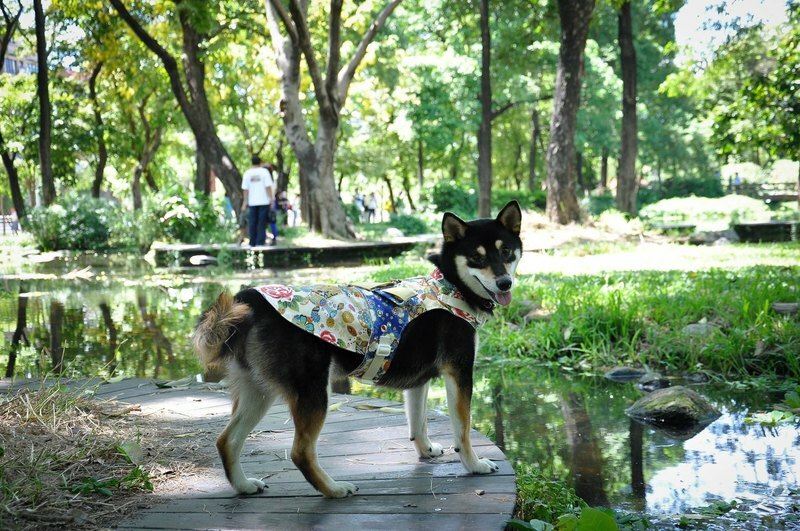 Adorable Dog Harness to walk your pet in style and comfort. The bodice is fully lined and the harness closes with metal button. It is so comfortable to wear. All of my items are made out of quality fabrics. A real attention getter! IMPORTANT REMINDER: This is a customized product, which requires 7–21working days with holidays excluded. This product is handmade, and so slight variations in size are to be expected. Materials: cotton Please measure before purchasing! Please check your actual measurements in case I need to adjust. If not it will be as stated. Girth (right behind the front legs around the chest) MEDIUM Neck………28-33cm Girth……….45cm-54cm weight…….. 5-8kg LARGE Neck………31-46cm Girth……….51cm-60cm weight…….. 8-12kg A Note About All Made-to-Order and Custom Orders- Your order is very important to me. Because I desire to meet the expectation for each customer's request as well as my own, it takes a certain amount of time to fill each order. I do not rush orders through, cut corners or skimp on the time it takes to create a quality item. Please note that I may have orders to complete before your item is started. To be fair to all, I begin work on items in the order they are purchased. I strive to complete each orders ASAP. Occasionally, involved or multiple items may take longer. Some items can ship within days. I strive to complete all orders as soon as possible. Please let me know if you have a deadline for delivery. I look forward to working with you! Please check my shipping policy for my current time frame for shipping. For best results I recommend hand washing and hang to dry. Your harness will stay looking new much longer and give you longer wearing time.